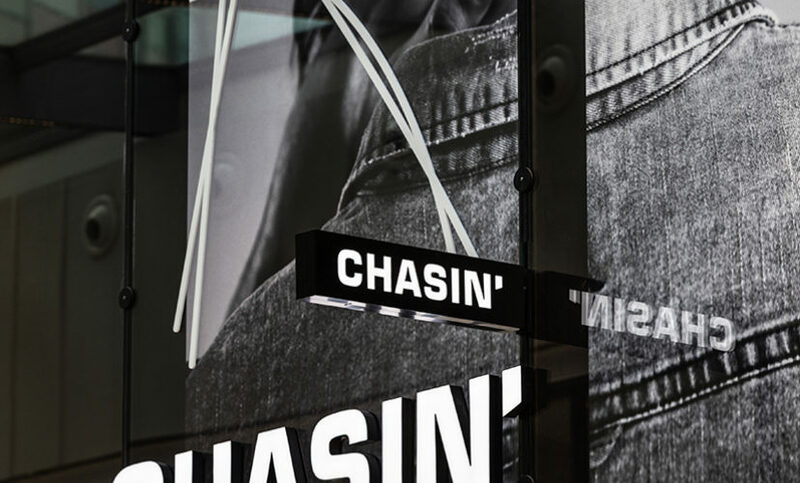 Recently we had the privilege of providing one of the latest CHASIN stores in the completely renewed Hoog Catharijne shopping centre with signing! From façade advertising to a charging point for your telephone in the store! A very cool job we are very proud of! The products we have delivered and mounted in the store include among others the gorgeous light advertisement at the front of the store. This consists of an illuminated logo, an illuminated graphic mark and a light box with fabric. All these things combined create a fantastic result! In the store we’ve also mounted various light advertisings. Again, the logo with graphic mark, a large size logo above the cash register, a beautiful wall with fabrics in a frame and we’ve added a number of light boxes in which clothes are highlighted. 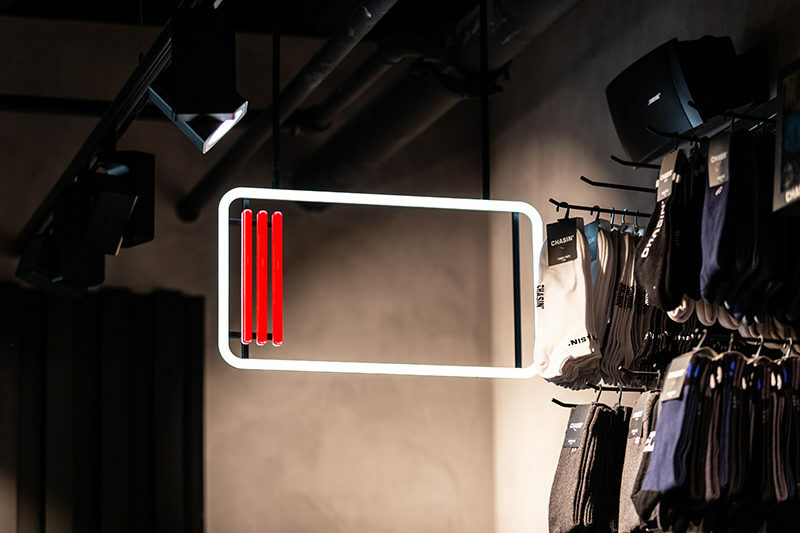 Together with CHASIN we’ve developed the charging point where customers can charge their telephone while they are shopping and trying on clothes. The complete picture is magnificent, and we are proud that we got the chance to contribute to the visible entrepreneurship of CHASIN. Would you also like to completely provide your store(s) with signing? Then feel free to contact us anytime!